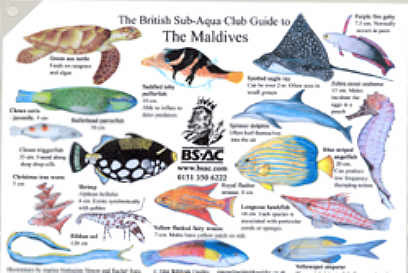 A photographic guide to almost every fish that divers are likely to see in the Maldives. 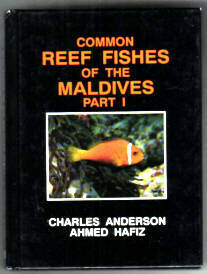 Basic fish science, behaviour and evolution are explained and detailed drawings of fish features, shapes and colours are included. 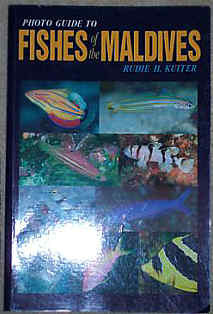 informative and educational Maldives Marine Life Guide. is Totally waterproof with a punched hole in the left hand corner. 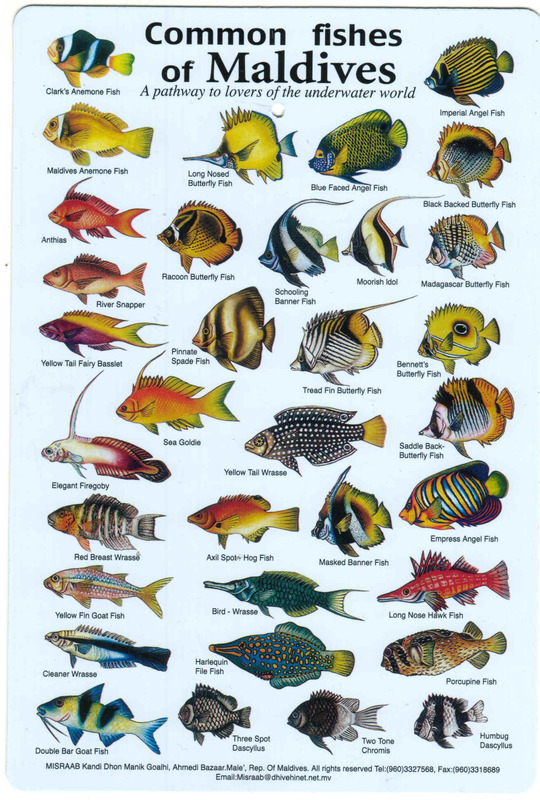 This is a high quality fish Identification card for the Indian Ocean. Printed onto a plastic core which is then laminated, these cards are totally waterproof and more robust than paper laminated versions. Printed on both sides with over 60 high quality images of the most common fish to be found in this area. 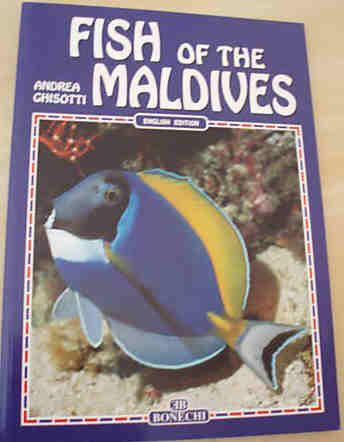 The Fishes of the Indian Ocean. Taxonomic Classification. 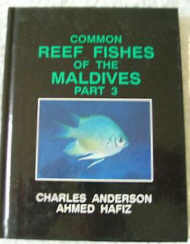 HB 1991 Published in Male. Maldives in full colour. 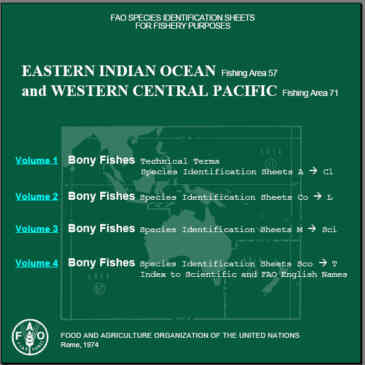 All fish in 6 Languages Cover Price varies with issues US10-$20. 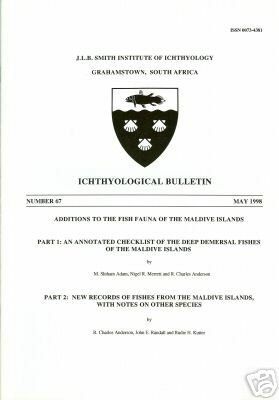 Part 1: An annotated checklist of the deep demersal fishes of the Maldive islands. 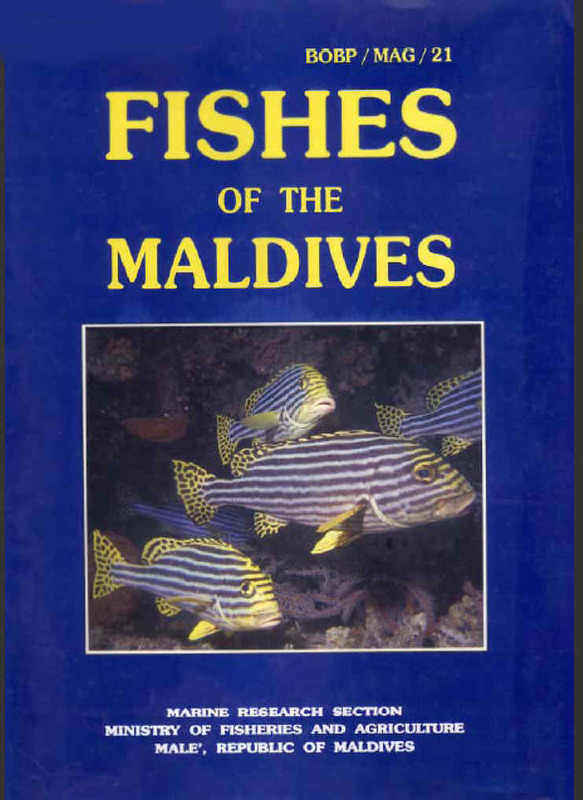 (with) Part 2: New records of fishes from the Maldive Islands, with notes on other species by M. S. Adam, N. R. Merrett, R. C. Anderson, J. E. Randall & R. H. Kuiter PUBLICATION/DESCRIPTION: Grahamstown: 1998. Pp. 32 (+ pls). Softbound, illustrated with 4 plates (44 colour photos), 16 figs (inc. 13 b/w photos, 1 map). 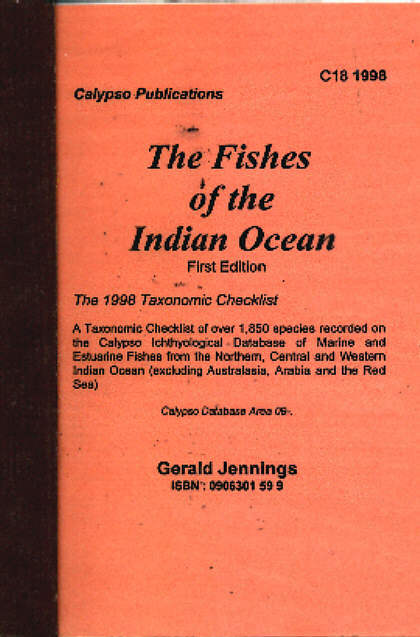 Ichthyological Bulletin of the J. L. B. Smith Institute of Ichthyology, No. 67.SIZE:Approximately 30cm x 21cm CONDITION: Unmarked and as new. This book can be read ONLINE free at the FAO site linked here. For a copy on CD purely for research purposes we only charge production and postage costs. The text is free In all cases the source of copied material should be cited. 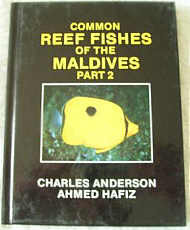 CDMALDIVES For a copy on CD please enquire for further details. No part of the book may be reproduced by any process without prior written permission. 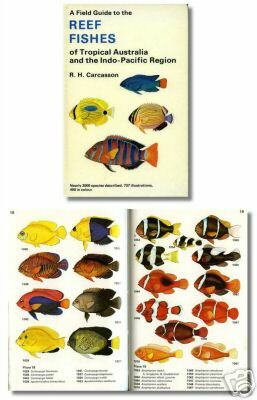 A guide to the fishes in the Indian Ocean around Mauritius 200 fishes identified with illustrations by Paula Atchia, with quick identification chart in colour to rear, and some colour photos and an index of local names of fish. 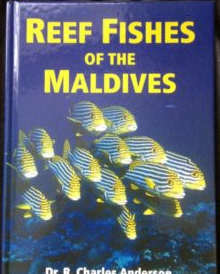 A Field Guide to the Reef Fishes of TropIcal Australia and the Indo-Pacific Region by R. H. Carcasson. Eastern Indian Ocean and Western Central Pacific. 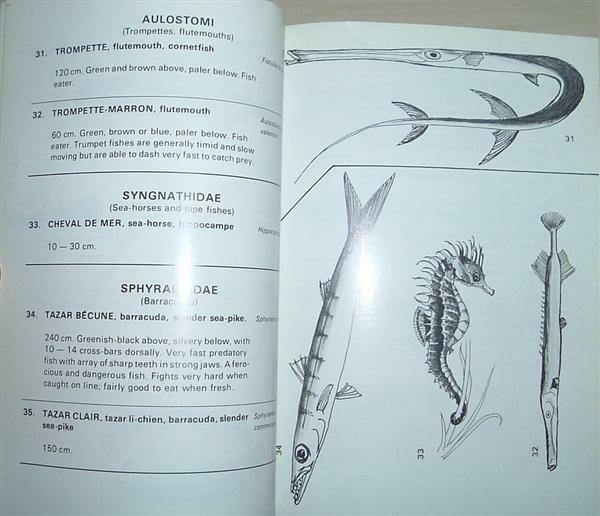 Fish Identification Sheets. 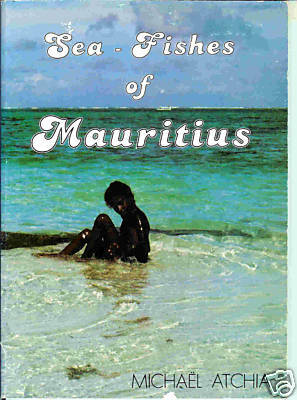 No dust jacket as issued. 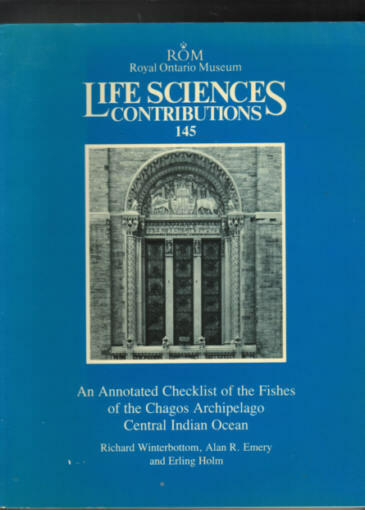 Contains abstract, Introduction, materials and methods, checklist of fishes, discussion, acknowledgements, literature cited, and figures. Royal Ontario Museum; about 8.5 inches x 11 inches; 226 pages. 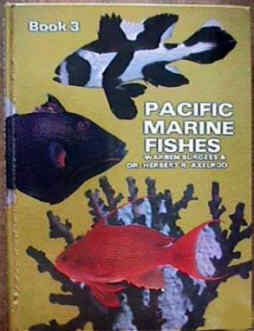 1989 Soft cover edition in NEW condition. 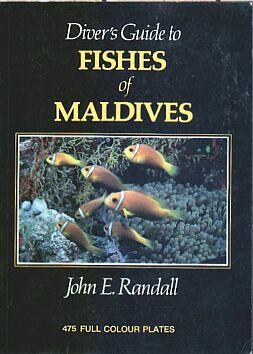 Divers Guide to the Fishes of the Maldives by John E Randall. 475 Full colour plates. 192pp. 1992. Immel Pubs.